A proofer-retarder system is designed for the purpose of controlling fermentation in your bakery. Whether proofing (speeding up) fermentation, retarding (slowing down) fermentation, or combining both capabilities into one or multiple boxes, TMB Baking R-P systems can be configured to accommodate anything from one single rack to hundreds of double racks or every option in-between. 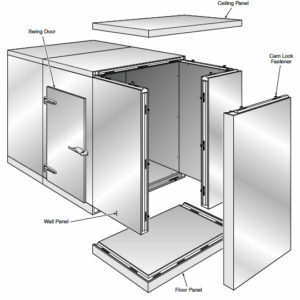 Our 3 ½” insulated cam-lock stainless steel wall and ceiling panels, with reinforced, diamond-plate base doors provide a perfect environment to condition your dough. 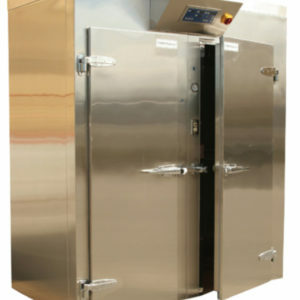 The box is stainless steel, inside and out, for longevity in humid and corrosive (sourdoughs) environments. We also have Galvalume©, an option for walk-ins and retarders in low-moisture environments. TMB Baking will set you up with the bakery proofer or retarder that will work the best for you and your bakery or bakery-café. We also work with Imperial-Brown to supply walk-in coolers and walk-in freezers of any size and environmental conditioning. 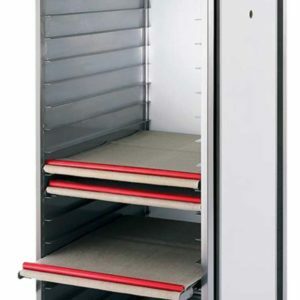 For blast freezers, we recommend Irinox, and for small units ideal for proofing at room temperature, we work with Sasa for cabinets that can be fitted with autocouche or with racks and rack covers (see small wares & accessories). 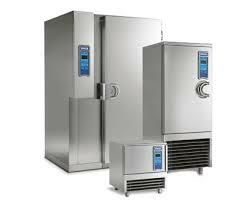 At TMB Baking, we can provide you with a bakery freezer and cooler to fit your requirements.